At GroundControl, we pride ourselves on our welcoming and supportive culture. You may have experienced highly aggressive Brazilian Jiu-Jitsu classes that felt like being thrown in a shark tank. Perhaps you have a preconceived idea of what Brazilian Jiu-Jitsu actually is. Where we are different is that our classes are technical, curriculum focused and we have a team that is based on encouragement not rivalry, where you’ll train with allies not adversaries. 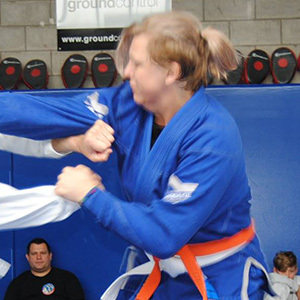 Regardless of background or culture, whether you are a strong athletic build, want to increase functional strength, are male or female, young or old; here at GroundControl, we are a diverse, all-inclusive school and our aim is to turn each and every student that trains with us into a successful martial artist. If you want to train at a gym that puts you first and allows you to become who you want to be, then GroundControl has the quality of staff, knowledge and credentials to ensure you succeed. 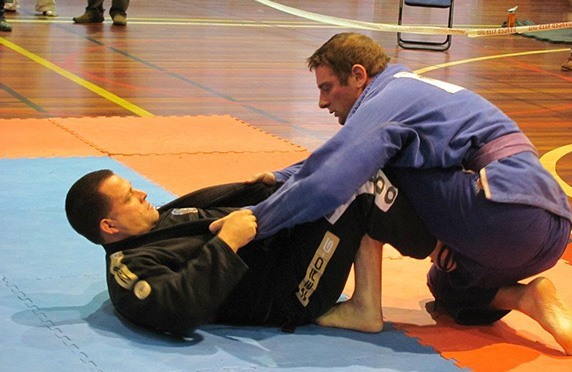 If you are looking for a martial arts style that is different to your usual kicking and boxing classes and want to learn practical self-defence techniques, then Brazilian Jiu-Jitsu will meet all your goals. You don’t need to have any former martial arts experience or even a base fitness level to start. Our classes are suitable for everyone who is willing to jump in and give it a go. From the very first lesson, you will leave feeling confident that you’ve made the right decision in joining us here at GroundControl. Not only will you learn something new, you will come away with a feeling of accomplishment and before you realise it, you’ll be grading up and showcasing your new skills. Our Essentials class is specifically designed for beginners like you, to accelerate your understanding of the core techniques and principles. The values, foundations and traditions of Brazilian Jiu-Jitsu can be effortlessly translated into your everyday life and if you don’t come away a new person, we’ll give you your money back…guaranteed! THINK MIXED MARTIAL ARTS ISN’T FOR YOU? THINK AGAIN! If you have been thinking about taking your interest in MMA from spectator to practitioner and are looking for a way to get started, then the GroundControl MMA program is for you. We start you from the very beginning and will work with you to build your fitness, skills and mindset until you are competition ready. You will start with low contact drills and then start to increase intensity at your own pace, as you grow in confidence and capability. When you walk into your first MMA lesson at GroundControl you’ll immediately benefit from our unique approach. Where many MMA gyms have the “three coach approach” – going to different coaches for grappling, striking and wrestling, and then trying to stitch them together - we are different. Not only will you learn the individual techniques, broken down and drilled to perfection, we will show you how to blend the techniques together. How to transition from a kick into a takedown. How to turn a takedown into a dominant position and a dominant position into a submission. Whether you are training for fun, health, self defence or because you want to step into the cage or ring, before you know it you’ll have the fitness, techniques and the confidence of an MMA fighter. 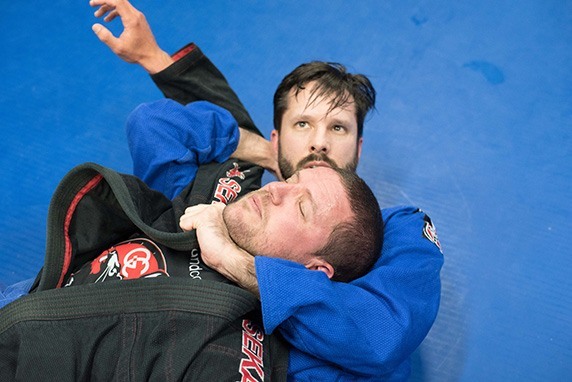 If you’re looking for a martial arts class that is less aggressive but just as physical, disciplined and fun, then Kids Brazilian Jiu-Jitsu classes at GroundControl is the perfect style for you. The junior program is suitable for kids aged 7 to 16 years and focuses on grappling and the use of leverage and technique. This makes it the perfect style for children of different ages, weight and strength. Bully Proof your child with techniques that allow them to control aggression without having to punch someone in the face! Here the weak can become the mighty and you cannot put a price on the confidence it provides. Junior classes at GroundControl are held four times a week from Monday to Thursday and children go through a dynamic and tailor made curriculum specific to their age. Our grading system rewards children for the level of technical improvement they make as an individual, as well as a positive attitude and engagement in class. In no time at all, your child will be doing better at school, be more confident and empowered, become fitter and stronger and will learn the true meaning of camaraderie. So don’t wait for the time to be right, or your fitness to peak or your kids to ask. If you want to see real results, learn new skills and change your life…now is the time to start. All you need to do is put your name on the waiting list and we’ll call you as soon as a place becomes available. 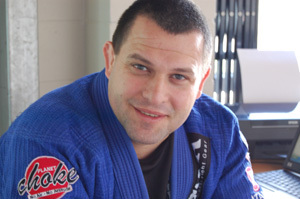 Head Coach Mike Fooks is a Black Belt in Brazilian Jiu-Jitsu, a third degree Black Belt in Aikido, a professional trainer and personal development coach with a degree in Psychology to top it all off. His team includes first class competitors and coaches who have skills, experience and expertise in all things BJJ and MMA. In other words, you couldn’t be in better hands. 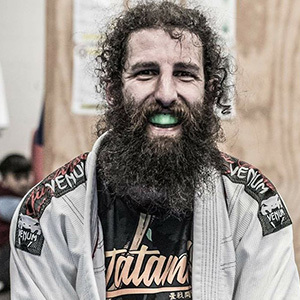 Jiu Jitsu has made me stronger, fitter, and a better person off the mat. There is no doubt Ground Control with its friendly and open atmosphere has made this possible. I'm grateful to be part of the GroundControl Family. I have been coming to Ground Control for about two years. What keeps me coming back isn't entirely the skills I've learnt or the progression. It is the culture and atmosphere where everyone is welcome and equally encouraged to contribute no matter what their level of experience is. Attending training is something I look forward to multiple times per week and can see this being a lifelong hobby and passion. People do often ask why I decided to try Jiu Jitsu. I have two sons and a husband who train, so I thought Why Not – what do I have to lose. The answer is absolutely nothing. What I have gained is self-confidence, a deeper understanding of what makes me tick as a person, patience, and a new approach to learning. The people we train with are supportive, encouraging and understanding. After two years of watching my daughter learn BJJ I decided it was time I gave it ago. Three years later and I am still here so Mike and the team at Ground Control must be doing something right! 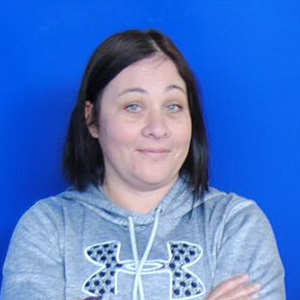 As a female participant and much older than your average first timer the odds of sticking it out are against me but the positive atmosphere, encouraging team and excellent coaching make it easy to stay focused and enjoy the journey. You do not need to have any athletic ability or fitness level before you start. But when you start, you will definitely see an increase in fitness, stamina, agility, flexibility and strength. What days can I train? You can check our Timetable. How long does the Essentials Program run for before I can move on to the general class? We have a 26 week rotating syllabus which we run three times per week so it depends how often you train. Most students if training twice a week will be ready for their first stripe in approximately three months. Our juniors program is for kids aged 7 to 16 years. There are no formal grades in MMA. In BJJ grades go from White to Blue to Purple to Brown to Black. BJJ grades carry a lot of weight. Whereas in some martial arts styles 2-3 years training will give you a knowledge of the fundamentals and a black belt, in BJJ 2-3 years training will give you a knowledge of the fundamentals and a blue belt. That means when you see a BJJ Black Belt you know they’ve spent over a decade working on their art. Each belt colour is a significant achievement in itself. To help gauge your progress towards that achievement each belt has stripes that are awarded as you get closer to the next colour. Stripe testing for White belt is every month. Yes. You can book in for our private lessons where we will work on fine-tuning your skills.